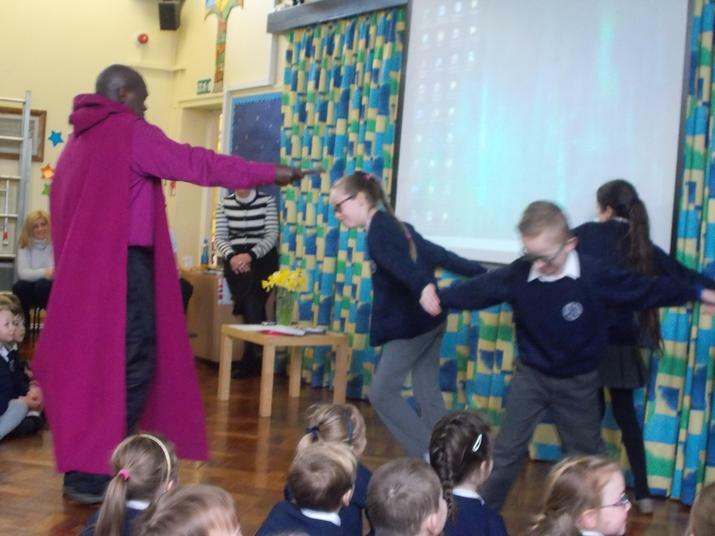 On Tuesday 1st March, Cherry Burton School welcomed a special guest: Archbishop Sentamu, The Archbishop of York. He joined us for our assembly, which was very exciting. As it was St. David’s Day, he told us about the Patron Saints: George, David, Andrew and Patrick. The Archbishop also tested our knowledge of the Saint’s Countries. England is George, Wales is David, Ireland is Patrick and Scotland is Andrew. 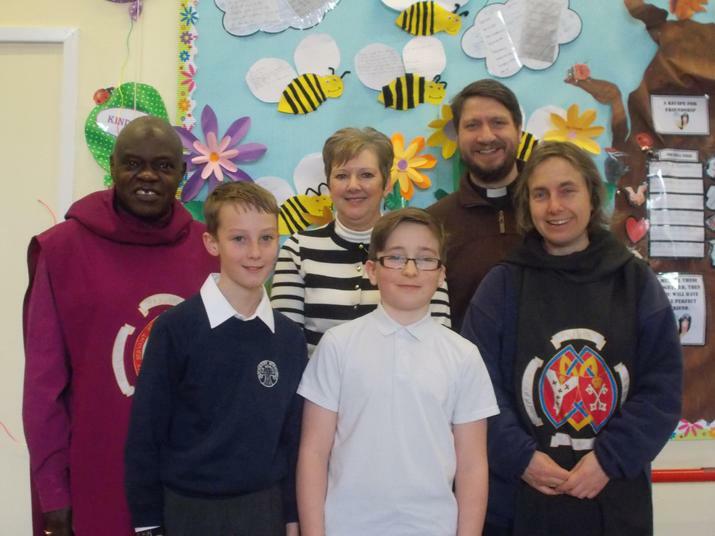 The Archbishop asked for four volunteers from top juniors (which means year 6). He chose Sophie, Vienna, Luke and Tom O. They held hands and tried to move together; first inwards and then outwards. Inwards was easier as they were moving the same way. Outwards was harder as they all moved in different directions. This represented the four saints having to work together.